Variety of Roller Fairleads: Choose from a variety of Roller Fairleads for your superwinch. 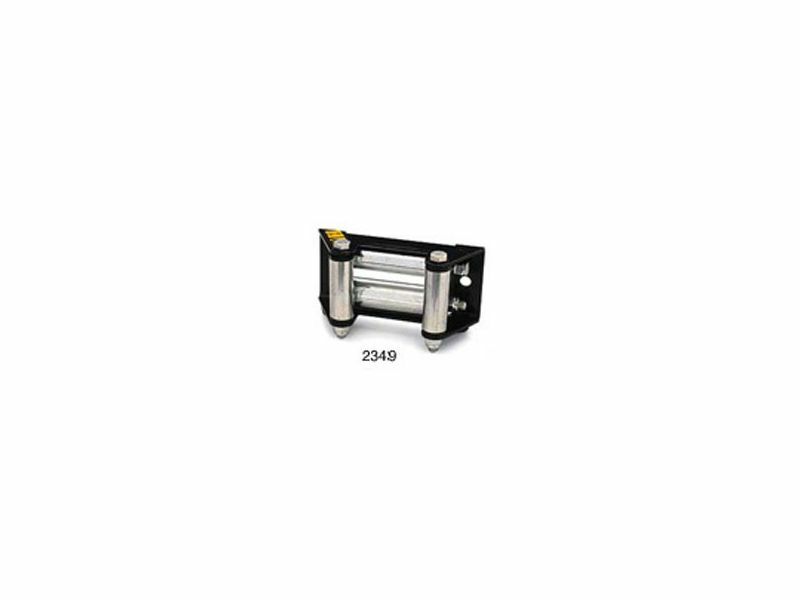 Part # 2549 Fits X6, X9, S9000 and S6000 winches. Part # 1560A Fits EX1, X1, X2, and X3. Part # 1560C Fits all GP and T Series winches. Part # 2343 ATV Roller Fairlead with Bracket. Part # 2235 Fits S Series winches. Choose from a variety of Roller Fairleads for your superwinch. discretion without charge to Buyer upon Buyer’s compliance with these procedures. Seller or its Authorized Agent may make reasonable charges for parts and labor for repairs not covered by this Limited Warranty. The warranties set forth herein are exclusive and in lieu of all other warranties, whether oral or written, express or implied. When contacting Seller, Buyer shall mail, ship or otherwise deliver to Seller at the address noted below or to a Factory Authorized Service Center: (1) the Product; (2) a written description of the problem; (3) Buyer’s name, address and telephone number; and (4) a copy of the original sales receipt. Mail, ship or otherwise deliver the Product, required information and copies to Seller, postage or shipping prepaid. sample was used for illustrative purposes only and shall not be construed as a warranty that the Product shall conform to the sample or model. (1) All warranties with respect to the wire rope, whether sold alone or used in or incorporated in any Product. (2) All warranties with respect to the Product’s finish. (3) All warranties of fitness for a particular purpose. (4) All warranties of merchantability. (5) All claims for consequential or incidental damages. Some states or jurisdictions do not allow limitations or exclusions in consumer transactions, and these limitations or exclusions may not apply to Buyer. The warranty gives Buyer specific legal rights and there may be others. If a warranty is deemed to apply to this Product, it shall exist only for the same period of time set forth in the express limited warranty set forth above. NO agent, dealer, distributor, or employee of Seller is authorized to make modifications to this warranty, and not such statements, whether oral or written, shall be binding on the Seller.